The next decade will see the number of countries possessing armed unmanned aerial vehicles (UAVs) increase significantly, and in no region is there greater demand for such a capability than the war-torn Middle East. While the costs and associated technological demands of armed drones have previously limited ownership to an exclusive club of major world powers, rapidly decreasing costs are allowing countries such as China to offer comparatively low-cost armed drone variants to countries seeking an unmanned strike capability. In fact, Beijing has already sold armed UAVs to countries including Iraq and Saudi Arabia. Furthermore, violent non-state actors in the region are weaponizing unarmed drone variants as a core facet of their military and terrorism strategies. The spread of armed UAVs to states in the Middle East is creating radical shifts to the power dynamics between countries in the region, and will continue to do so with escalating intensity as drones become more readily available. This channel will monitor the proliferation of drones in the Middle East and focus on producing intelligence on typically secretive armed UAV sales between countries. This will include specifics regarding the model, quantity, and deployment location of armed drones coming into the ownership of Middle Eastern states, as well as non-state actors. From these details, analysis will be provided regarding the intended use and impact of drones newly acquired by particular countries on a case by case basis. Studies can follow the transfer and deployment of particular armed UAV sales, domestic development of armed drone capabilities (such as the Iranian drone program), or significant events involving armed UAVs. 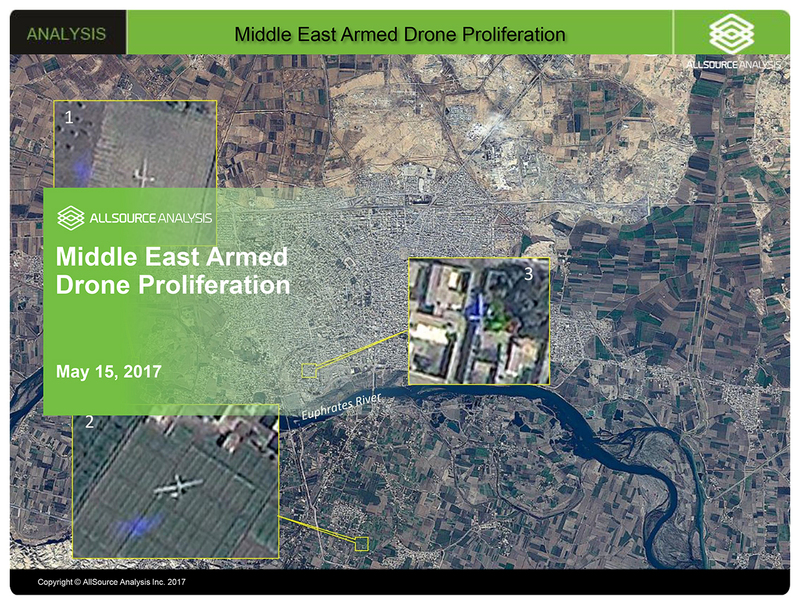 Reports will provide imagery of Middle East airfields with before/after analysis demonstrating drone procurement, analysis of model-type, analysis of modifications or added capabilities, and order-of-battle. 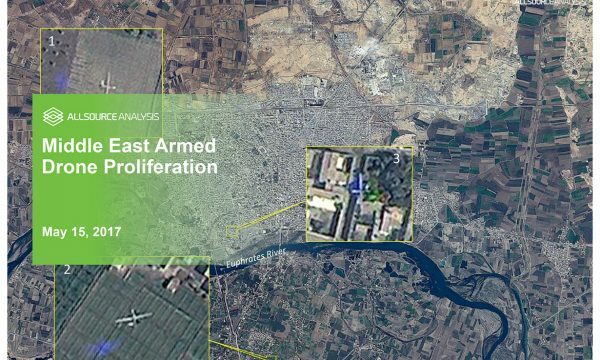 The channel will combine this imagery with open source reporting to offer subscribers with a deeper understanding of Middle East drone proliferation and national UAV capabilities.